As new NGOs managed to register in Belarus in 2018, the interaction progress between the authorities and civil society has increased. At the same time, the recent arrests of the journalists from the media outlet TUT.BY have worsened Belarus’s international stance in the human rights rankings. Belarus hosts a series of IT-related and gender-related events. On October 3, Minsk hosts the Internet Governance Forum aimed at the discussion of the progress of the Internet in Belarus. Free mentoring leadership programs for career women will take place in September-October. The Center for New Idea releases the Index of Future for Belarus. Mogilev to host a culinary Dranikfest on September 29. 66 new NGOs registered in the first half of 2018. In total, as of July 1, the following non-profit organizations were registered in Belarus: 2,907 NGOs, 28 trade unions, 39 unions of NGOs, and 207 funds. The registered NGOs mostly deal with sports (809 organizations); charity (403), and youth (355). Study: Interaction of civil society and authorities at a local level. In July 2018, SYMPA conducted interviews with 11 representatives of Belarus’ local authorities. The respondents unanimously note that in recent years the situation has changed significantly: the interaction between civil society and authorities has become more close and constructive. However, officials generally view civil society as a free labour to solve local problems, rather than as a force affecting a regional policy. Let’s do it! Cleaning Day was held in Belarusian cities. On September 15, Belarus closed the 6th season of its participation in the global action Let’s do it! to clean unauthorized dumps. Organized by environmental CSOs, the action takes place in Belarus from 2012. This is one of the largest volunteer actions in the country – the most massive one of 2016 involved over 24,000 people. IT technologies for civil society master classes are being launched by the Office for European Expertise and Communications in cooperation with Estonian partners. A series of educational events will present the best practices of Estonia and Belarus, which will help Belarusian CSOs to effectively use the available technologies. The first master class on October 4 will present online tools for teamwork. ‘Sofa troops’: Belarusian civic activity on the Internet. On October 3, Minsk hosts the Internet Governance Forum (IGF), a unique multi-stakeholder platform aimed at finding the best ideas for the progress of the Internet in Belarus. One of the panels is devoted to the discussion of the growth of civil activity of Belarusians on the Internet and the possibility of its transition to offline. Media Management & IT Forum will be held in Minsk, on October 25-27. 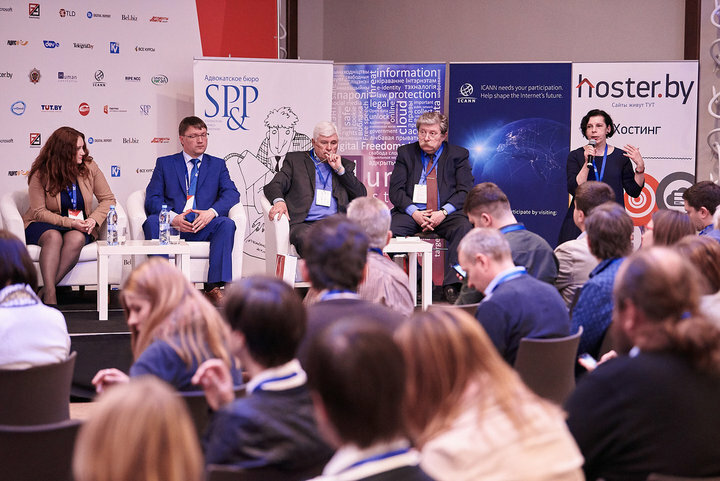 The civil-society driven Forum raises a topic of media management in the digital age and brings together 100 participants from Belarus, the Eastern Partnership countries and the EU. Inter alia, a phenomenon of disinformation will be discussed, as well as a low level of investigative journalism and fact-checking in the region. Registration is open until September 30. Independent trade unions leaders found guilty. On August 24, Henadz Fiadynich and Ihar Komlik, respectively Chairperson and Chief Accountant of Radio and Electronic Industry Workers (REP), were found guilty of a large-scale tax evasion. The defendants were sentenced to 4 years of restriction of liberty without imprisonment. Belarusian and international human rights and labour organizations consider the case politically motivated. Journalists and editors of ‘BelTA case’ banned from leaving Belarus. On August 27, after interrogation in the Investigative Committee, seven editors and journalists suspected in the BelTA case were temporarily restricted from foreign travel. Alternative report on the implementation of the Convention on the Rights of Persons with Disabilities to be prepared. The Office for the Rights of Persons with Disabilities has initiated the process of drafting the report aimed to provide objective information on the situation of people with disabilities in Belarus to the UN Committee. The ‘Zero’ alternative report was submitted in 2016. Feminist art-project becomes viral in social networks. The sexist remark Lady, Comfortable in Daily Life appeared in the state-run newspaper to describe the detained female journalists in the BelTA case. The phrase became the name/hashtag of the project that encourages reflecting the role of women in Belarus and sharing personal stories. The campaign is supported by visual products that present successful Belarusian women. Only 30% of business in Belarus headed by women, no ambitions and the huge burden of household duties. These are the findings of a Women Entrepreneurs in Belarus study by the Belarusian Economic Research and Outreach Center (BEROC) that explored major aspects that affect female entrepreneurship in the country. They include social roles, motives, decision-making process, and macroeconomic factors. Free mentoring leadership program for women launched in Belarus. The unique program presents a model of women’s gratuitous cooperation to move more confidently along the career with the support of another, more experienced woman. Sixty participants will be selected: 30 mentees and 30 mentors. The organizer is Her Rights Center to Promote Women’s Rights. Dranikfest 2018 to be held in Mogilev, on September 29. The festival is held for the 4th time and has become a business card of the region. Organized by the Center for Urban Initiatives, the agenda includes a contest for the best cooking of potato pancakes (‘draniki’), live music, exhibitions, master classes, etc. During the festivals, guests eat several tons of potatoes. 12-story-high mural appeared in Minsk. “This artwork is about the country’s hope, its image of the young IT-Belarus, which looks confidently to the future and creates it right now”, according to its author Fintan Magee, the street artist from Australia. 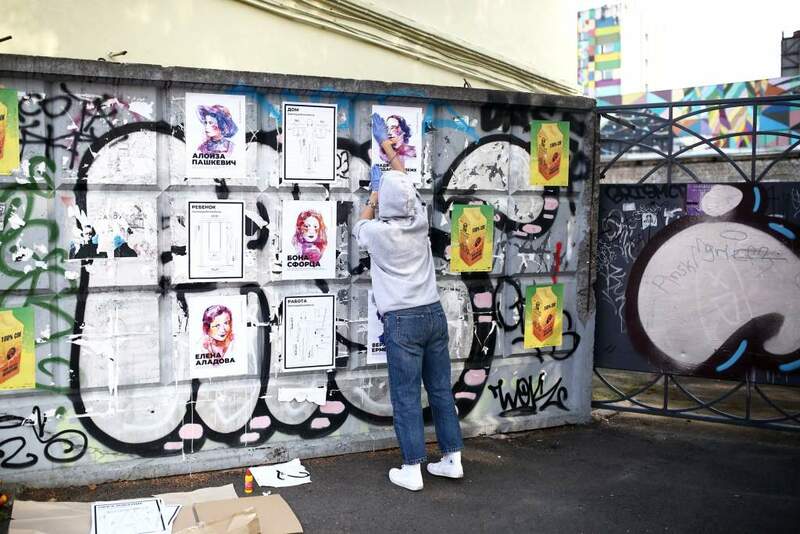 The mural became possible due Urban Myths crowdfunding initiative that invites artists from different countries to create artworks based on their impressions of Minsk and Minskers. Planetarium International Eco Film Fest to be held in Minsk, on September 24-30. The cinema Tsentralny in the centre of Minsk will become a festival area. This year, the agenda includes seven movie screenings from the US, Brazil, Lithuania, France, Russia, etc. The civil-society driven festival is organized for the second time and intended to show that environmental cinema is not boring, but thrilling and motivating. Index of the Future of Belarus is released by the Center for New Ideas based on the forecasts of 26 experts. The Index shows what (most likely) will be with Belarus in economy, demography, education, and inclusiveness of the state for the next five years. Namely, experts predict that status and conditions of civil society development may remain approximately at the same level or slightly improve. Belarus hosts 21st International Space Congress. Alexander Lukashenka visits Uzbekistan. Foreign Minister Uladzimir Makei welcomes the new Russian Ambassador. Lukashenka shakes the government amid the poor inspection of the Orsha region. New Prime Minister Siarhei Rumas names the key obstacles to Belarusian-Chinese economic cooperation. Lukashenka promises to modernize Uzbekistan’s Soviet military equipment. Hrodna and Homiel celebrate their anniversaries. All of this and more in the latest edition of State Press Digest. Lukashenka reshuffles the government amid the unsuccessful inspection of the Orsha region, reports the official Internet Portal of the President of Belarus. According to Lukashenka, the major faults of the fired officials included the “over relying on the market hand” as well as the “inclining to the fast privatization of state assets”. Nevertheless, Lukashenka’s new appointments also possess close ties to the “market hand”. In particular, the top-banker Siarhei Rumas became the new Prime Minister and the Deputy Minister of Economy Pavel Utiupin became the Minister of Industry. Alexander Lukashenka visits Uzbekistan, reports Belarus Segodnya newspaper. On 13-14 September Alexander Lukashenka met Shavkat Mirziyoyev, the President of Uzbekistan. Lukashenka and Mirziyoyev conducted talks on political and economic cooperation, including boosting Belarusian investment into Uzbekistan and creation of joint enterprises. According to Lukashenka, Belarusian-Uzbek relations reached a “new quality level”. Shavkat Mirziyoyev, in his turn, ordered to create favourable business conditions for Belarusian enterprises. Foreign Minister Uladzimir Makei meets the Russian Ambassador Mikhail Babitch, reports Belarus Segodnya. On 11 September, Uladzimir Makei held a meeting with Mikhail Babitch, the newly appointed Russian Ambassador to Belarus. Makei and Babitch discussed the strengthening of strategic relations between Minsk and Moscow and the improvement of inter-state integration processes. Alexander Lukashenka congratulates Petro Poroshenko with Ukraine’s Independence Day, reports the official Internet Portal of the President of Belarus. In his address to Poroshenko dated 24th August, Lukashenka expressed hope on further intensification of Belarusian-Ukrainian cooperation. Lukashenka expects the growth of Belarusian-Iranian turnover up to 1 billion, reports Belarus Segodnya. On 7 September, Alexander Lukashenka conducted talks with Ali Larijani, the Speaker of the Parliament of Iran, on Belarusian-Iranian economic cooperation. Lukashenka praised “excellent” political Belarussian-Iranian relations, yet regretted the low scale of economic cooperation. 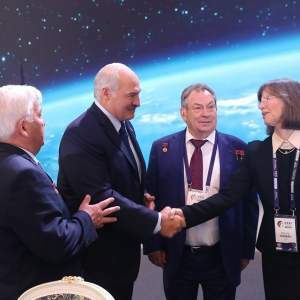 According to Lukashenka, instead of 300-400 million, Belarusian-Iranian turnover could “easily” reach 1 billion, should both sides follow “strictly” the agreed inter-state trade agenda. Prime Minister Siarhei Rumas names the key obstacles to Belarusian-Chinese economic cooperation – reports Belarus Segodnya. On 7 September, the newly appointed Belarusian Prime Minister Siarhei Rumas met Chinese Ambassador Cui Qiming to discuss the actual state of economic cooperation. According to Rumas, while the political relations between Belarus and China stayed “extremely good”, the inter-state trade relations suffered at times. Among the key obstacles to Belarusian-Chinese trade Rumas named financial barriers faced by Belarusian companies at the calculation stage and the recent quarantine restrictions for Belarusian agricultural products. Belarus and Russia slowly limit transactions in US dollars, reports Soyuznoye Veche newspaper. According to the interviewed experts from the banking sector, the de-dollarization process has slowly begun in Belarus and Russia and cannot reverse. The experts maintain that further de-dollarization should strengthen Belarusian and Russian economies. Lukashenka promises to modernize Uzbekistan’s Soviet military equipment, reports Belarus Segodnya. The parties reached the respectable agreement during Lukashenka’s visit to Uzbekistan on 13-14th September. Apart from that, Lukashenka assured Mirziyoyev of Belarus’s capability to establish military equipment modernization plants in Uzbekistan. We successfully produce high-resolution optical systems for satellites, cosmic mirrors with special smoothness, and equipment for remote sensing. […] We also plan cooperation with the international program “Sirius”. Apart from that, Belarusian scientists intend to participate in Moon’s exploration programs and develop medicines for space use. 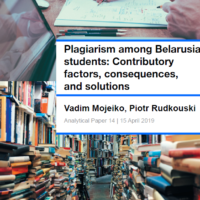 Russian MGIMO withdraws the scandalous monography with a violent prognosis for Belarus, reports Belarus Segodnya. MGIMO’s monography “The world in the 21st century: the forecast of international security development by countries and regions” issued in September contained a violent prognosis for Belarus. According to the monography, Alexander Lukashenka had to “be removed beforehand” as “not pro-Russian enough” in order to avoid the repeat of the “Crimea scenario” in Belarus. Due to the upheaval of public discontent, MGIMO immediately apologized and stopped the monography’s circulation. Brest hosts an international theatre festival, reports Brest Courier newspaper. On 11-16 September, Brest hosted international theatre festival “Belaya Vezha”. The spectators watched 28 theatrical performances from 10 countries. The festival’s Grand-Prix award went to Kyiv’s academic dolls theatre. Hrodna celebrates its 890th anniversary, reports Vechernij Hrodna newspaper. 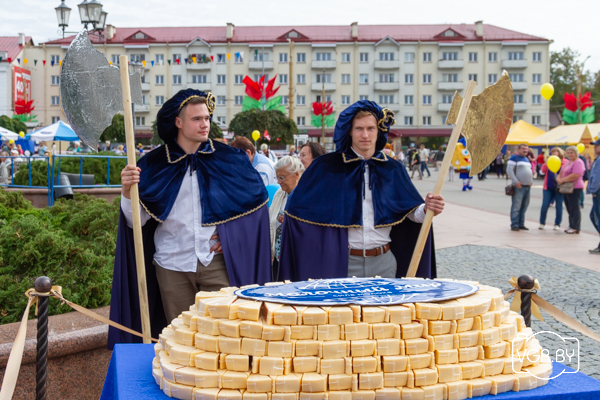 On 15 September, Hrodna celebrated its 89oth anniversary with food courts, dances, music, and fireworks. Founded in 1128, Hrodna played an important role in the Belarusian history. So far, Hrodna remains one of the most influential cultural and economic centres of Belarus. Homiel celebrates its 876th anniversary, reports Gomielskie Vedomosti newspaper. On 15 September Homiel celebrated its 876th anniversary with concerts, processions, and festivals. Founded in 1142, Homiel got seriously affected by the Chernobyl disaster in 1986. Nevertheless, Homiel actively develops as an important Belarusian regional centre.